The Colorado Association of Middle Level Education (CAMLE) encourages you to reach out and visit any one of our extraordinary Schools to Watch! While each of these schools exemplify strong academic excellence, developmental responsiveness, social equity and strong organizational structures – each presents a different flavor due to their diverse demographics and strategies to create powerful learning communities. Each School to Watch is unique. Details regarding each school and it’s lead contact is provided below. Altona Middle School, located in Longmont, Colorado is part of the St. Vrain School District and enrolls 643 students in grades 6-8. It has a free and reduced population of 16% and was noted by the Colorado Department of Education as a 2010 John Irwin Award and Distinguished School Award winner for having the top 8% overall status scores and student growth scores according to performance on the state assessments. Altona also earned the John Irwin in 2006, 2007, and 2008. Altona Middle School boasts a strong culture of excellence. Students and staff demonstrate the ideals of their mission statement as Altona is truly a place where each individual student creates his/her own opportunities for success through Core, Enrichment and Extracurricular achievement. 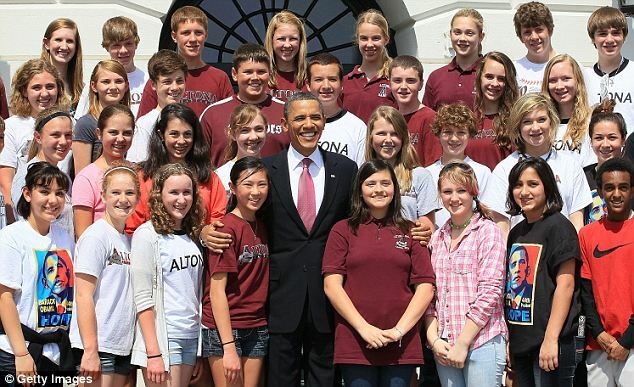 The Altona community has come together to prepare each student to be a leader and obtain key 21st century skills such as self-reliance and academic competence so that they can thrive in an increasingly complex world. Rigorous teaching and learning is evident through a deep implementation of evidence based instructional strategies and comprehensive instructional design. Jeremy LaCrosse leads the staff at Altona Middle School. Part of the Roaring Fork School District, Basalt Middle School enrolls 475 students in grades 5-8. 43% of their students qualify for free/reduced lunch, 51% of their population is Hispanic, and 23% of the population are identified English Language Learners. Students and staff at Basalt attribute their success to a focus on each child’s growth mindset, high expectations for learning and achieving, a strong caring staff and a highly responsive team of teachers and administrators. Each and every child is provided metacognitive opportunities to reflect on his/her learning growth and tactics and supported effectively to meet the challenging demands of our globally competitive society. Rigorous teaching and learning and articulated interventions that ensure that every child receives timely, descriptive feedback that mediates their learning to new and every soaring heights. The school teachers students to keep track of their learning trajectory and identify their own pathways to success. Jennifer Ellsperman leads the staff at Basalt Middle School. 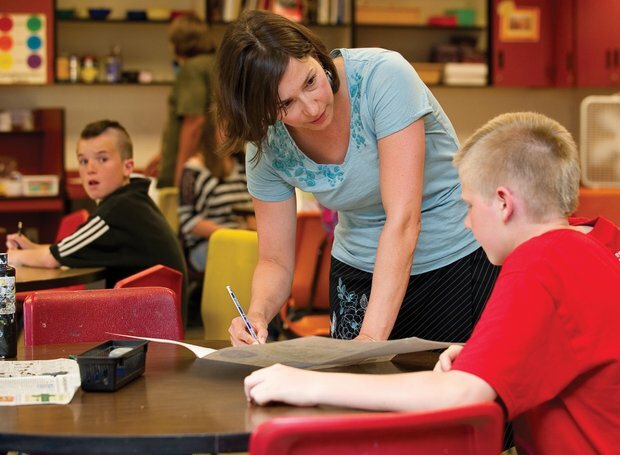 Bookcliff Middle School enrolls 545 students in grades 6-8 in Grand Junction, Mesa County Valley School District #51. It has a free and reduced population of 60%, and has a 35% mobility rate. Bookcliff’s schoolwide reform efforts have resulted in increased student achievement recognition by the Colorado Department of high growth status. Their faculty engages in regularly embedded, teacher-led, inquiry-based professional learning centered on student learning, assessment literacy, and research-based instructional strategies. 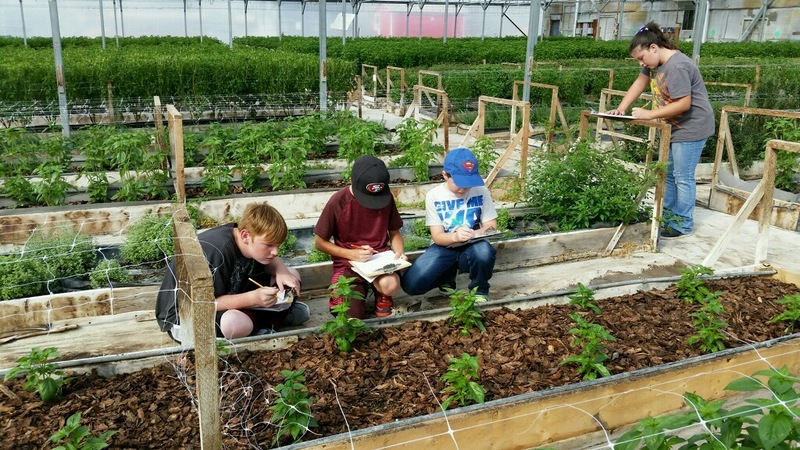 The school has developed unique scheduling to provide time for these embedded learning opportunities, student leadership and community-building, as well as flexible time for targeted academic interventions, community service activities, and project-based learning initiatives. Bookcliff has developed a strong Dual Immersion Academy within their school and has worked diligently to create a welcoming and positive learning environment across the entire learning community. Their staff is led by their principal, Jim Butterfield. Centennial Middle School enrolls 566 students in grades six through eight. Located in Montrose, it serves students in the Montrose Country School District in the Western Slope. Within a challenging and joyful learning environment where relationships come first, Centennial Middle School leverages quality teaching, character education and a rigorous curriculum to inspire a lifetime of learning. According to state student achievement data, Centennial is a high growth school. Additionally, the Colorado Department of Education has designated Centennial as a School of Innovation. 43% of the student population qualifies for free and/or reduced lunch and 25% are English Language Learners. Centennial has incorporated Expeditionary Learning’s Crew model as their character education program. Faculty at Centennial collaborate regularly ti plan innovative approaches to meet the needs of their diverse population through technology integration, character-based education and purposeful assessments. Joe Simo leads the staff at Centennial Middle School. 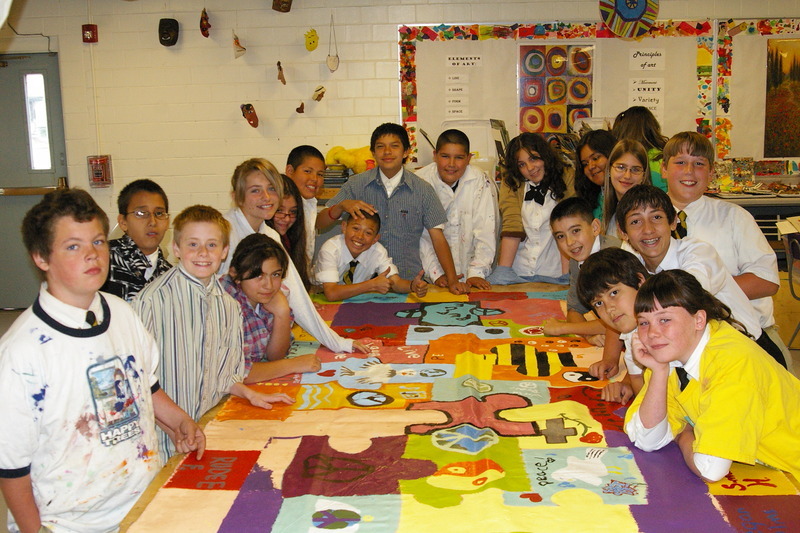 Corwin International Magnet School, a 4-8 urban magnet school, enrolls 534 students in grades 5-8 in Pueblo, Pueblo City Schools. It has a free and reduced population of 46%. Corwin International prepares all students to be life-long learners who are inquiring, knowledgeable, caring, and internationally minded through globally connected education, innovative technology, rigorous mastery based curricula, and meaningful assessment. Corwin International’s faculty regularly participates in professional learning communities to design inquiry based units of study aligned to high yield instructional strategies where student work is continuously analyzed. Corwin has systematically been working to close the achievement gap between its student populations and has seen strong growth in the areas of reading and writing. Strong leadership empowers the faculty at Corwin to keep expectations high for all learners. Corwin International Magnet School is led by principal Sulema James. 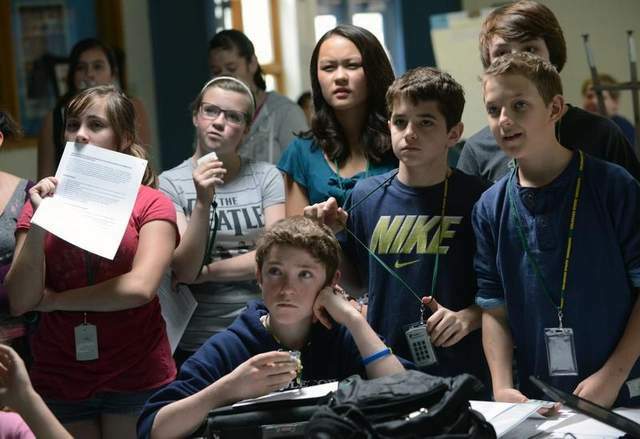 Flagstaff Academy enrolls 300 students in grades 6-8 in Longmont, St. Vrain Valley Schools. Flagstaff is a high performing school where “Science and Imagine Take Flight.” 10% of the student population qualifies for free and/or reduced lunch and 1% are English Language Learners. Their faculty engages in regularly embedded, teacher-led, inquiry-based professional learning centered on student learning, assessment literacy, and research-based instructional strategies. The school has developed unique scheduling to provide time for these embedded learning opportunities, student leadership and community-building, as well as flexible time for community service activities, project-based learning initiatives, and targeted academic interventions. Flagstaff has developed a strong technology and robotics program and has worked diligently to create a welcoming and positive learning environment across the entire learning community. Their staff is led by their principal, Katie Gustafson. Fort Morgan Middle School students show the total funds raised for Make-A-Wish over the goal they had set. Fort Morgan Middle School is a school of 491students in grades seven and eight with a mobility rate of 22%. Located in Fort Morgan, it works collaboratively to meet the needs of their diverse population. Approximately 70% of the students qualify for free or reduced lunch. Over 11 different languages are spoken within their community, and 63% of the population is Hispanic. Fort Morgan has created an environment that has put it on a trajectory of success, evidenced by three years’ growth. They have worked to steadily erase predictive gaps between student populations. Fort Morgan provides a wide range of opportunities to meet the needs of all students and ensure a high level of challenge while emphasizing academic achievement, cultural diversity, state and district standard implementation. A thriving migrant program supports new arrivals from the Congo and other African nations. Jason Frasco leads the staff at Fort Morgan. Grand Valley Middle School, a rural mountain school located on the Western Slope of Colorado enrolls 253 students in grades 6-8 in Parachute, Garfield County School District 16. It has a free and reduced population of 62%. Grand Valley prepares its students to be flexible thinkers who are inquiring, caring, and experientially-minded through project-based education, mastery learning, and ongoing self-reflection. Grand Valley’s faculty regularly engages as professional learning communities to design expeditionary based units of inquiry aligned to collectively held expectations for high quality work. Corwin has systematically developed a strong community of learners who exhibit a sense of pride, ownership and interconnectedness. Teacher leaders empower the Grand Valley community to maintain high expectations high for all learners. Grand Valley Middle School is led by principal Kelly McCormick. Jenkins Middle School enrolls 970 students in grades 6-8 in Colorado Springs, District 11. It has a free and reduced population of 28%. Jenkins students focus on achieving excellence and have opportunities to engage in enrichment or supportive learning opportunities through their Mastery classes. 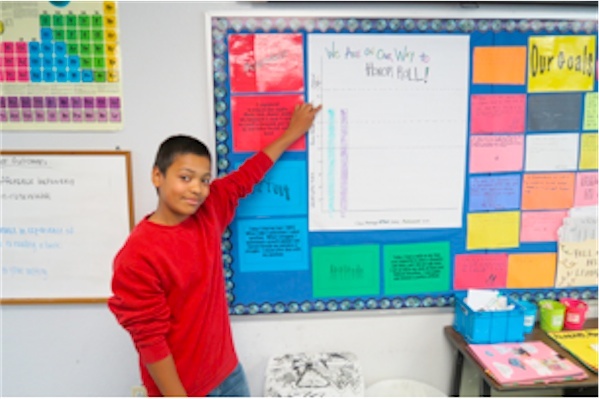 Students create their own learning goals and monitor their own progress throughout the school year. They actively use self-assessment strategies and are able analyze scoring rubrics to determine their own level of achievement. Students lead their own conferences during Parent/Teacher conference times. A well designed core is enhanced by rich exploratory courses. Extra-curricular activities abound! A comprehensive approach to interventions has been effectively embedded for both academic and social/emotional support. The staff at Jenkins is lead by principal Darren Joiner. Lesher Middle School enrolls 743 students in grades six through eight. Lesher Middle serves the students and families in the downtown neighborhood of Fort Collins and has earned the reputation of providing a high quality education to all learners in a manner that fosters creativity, critical thinking and active engagement. For that reason, enrollment in the last several years has soared where now nearly 50% of the student population is comprised of those who “choice” into the school. 41% of the students qualify for free and/or reduced lunches and 25% of the students are identified as gifted and talented learners. Lesher has successfully implemented a schoolwide International Baccalaureate program that provides rich inquiry-based approach to learning for all of its students. Expectations are held high for all Lesher students, and the school works relentlessly to provide a strong system of supports to ensure that students maximize their achievement and growth in alignment with their school motto, “All In!” Lesher was named a 2012 Breakthrough School by the National Association of Secondary School Principals. Principal Tom Dodd leads the way at Lesher Middle School. Polaris Expeditionary Learning School, located in Fort Collins, Colorado is part of the Poudre School District and enrolls 384 students in grades K-12. Polaris does not serve a specific neighborhood as it is a 100% school of choice program within the Poudre School District. 32% of their students qualify for free/reduced lunch. Together—as parents, students, teachers, and staff—Polaris strives to create the ideal learning environment for young adolescents. Polaris supports child and adolescent development, experiential curriculum, life skills, and builds connections between kids and their community. 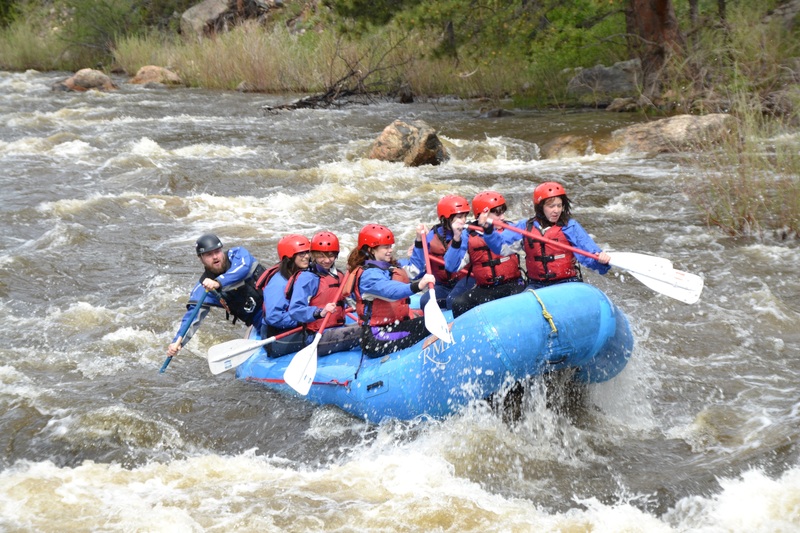 Colorado standards are embedded within learning Expeditions across the curriculum at all grade levels. A learning Expedition is defined as “an in depth study, of a compelling topic, over an extended period of time.” This teaching and learning process emphasizes students taking personal responsibility for their learning. In addition to emphasizing personal responsibility for learning, Expeditions allow students to break free from textbook learning, assess students in a variety of ways, and interact with field experts on a consistent basis. Joe Gawronski leads the staff at Polaris Expeditionary Learning School. Powell Middle School enrolls 889 students in grades six through eight. Located in Littleton, it serves a population where 11% of the students qualify for free or reduced lunch. Avid-based critical thinking strategies, data-driven instruction, and positive behavior support permeate the building. Robust 21st Century Learning is evident through teacher and student collaboration, questioning, inquiry, and goal setting. Students are often engaged in real-world projects and supported with strong formative assessment strategies that include student self-analysis. Robust technology integration is a norm, as students have access to numerous tools and use them effectively whether researching online, producing articles and videos or other multimedia Web 2.0 products. 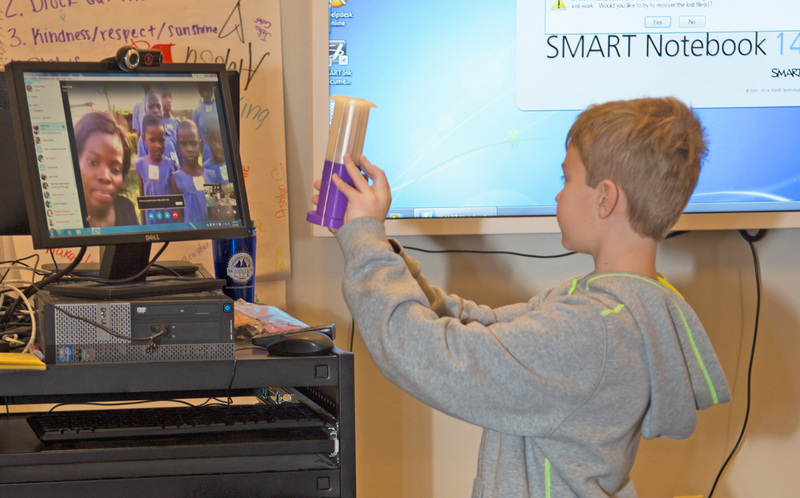 Students access a wide array of enrichment and intervention learning opportunities through the Core PLUS class. Parents are highly active in the school community and believe in Powell’s ability to prepare their children for the rigorous demands of high school. Steve Wolf leads the staff at Powell. Part of the Poudre School District, Preston Middle School enrolls 1148 students in grades 6-8. 14% of the student population qualifies for free and/or reduced lunch and 2% are English Language Learners. Preston was noted by the Colorado Department of Education as a 2012, 2013 and 2014 John Irwin Award winner for having excellent academic achievement. As a STEM focus school, Preston’s lives it motto “CREATING THE CONDITIONS TO MAKE OUR WORLD BETTER” by engaging students in sustained units of discovery, inquiry and exploration; active community service, world class academics, and plentiful opportunities to explore their passions. The faculty at Preston design learning lessons to intentionally foster critical thinking, creativity, innovation, problem solving, and technology integration. Teachers engage in action research as they model the research and inquiry process while delving into their own instructional practices. Preston hosts national learning labs with the Public Education Business Coalition (PEBC) in order to deepen teacher pedagogy and practice. Amy Schmer leads the staff at Preston. Redlands Middle School enrolls 547 students in grades six through eight. Located in Grand Junction, it serves students in the Mesa County Valley District 51. 23% of the student population qualifies for free and/or reduced lunch. 85% of their total student population is proficient or advanced on Reading CSAPs. Redlands students focus on achieving excellence and are empowered by standards based grading practices and a guaranteed, viable curriculum. Students continuously monitor their own progress throughout the school year. They use a variety of self-assessment strategies and are able analyze scoring rubrics to determine their own level of achievement. Teachers are empowered by a strong leadership team where creativity and innovation is actively cultivated. Students demonstrate a strong sense of community and caring and are involved in numerous service learning projects. Kelly Reed leads the staff at Redlands Middle School. 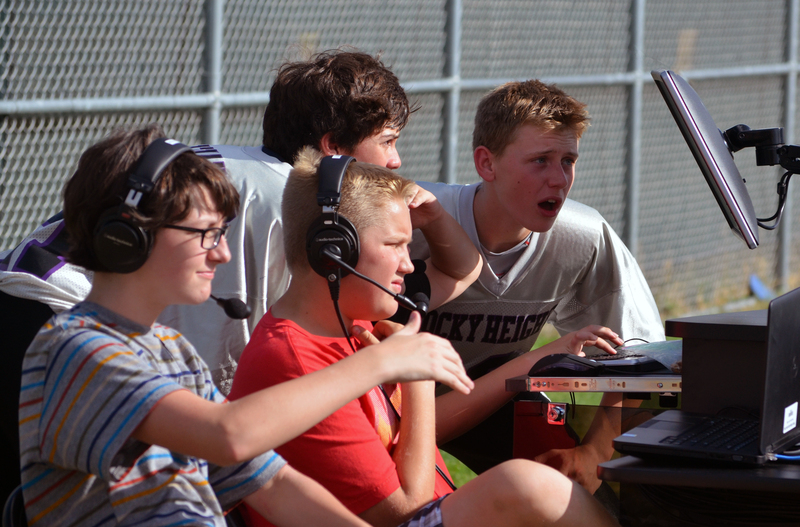 Rocky Heights Middle School enrolls 1474 students in grades six through eight. Rocky Heights Middle serves the students and families in Highlands Ranch within the Douglas County School District where 3% of the students qualify for free and/or reduced lunches. Rocky has earned the reputation of providing a high quality education to learners in a manner that fosters creativity, critical thinking and active engagement. Rocky Heights has been noted by the Colorado Department of Education as a 2010-2014 John Irwin Award winner for excellent academic achievement. By focusing on rigorous academics where all students receive a double block of math and literacy students at Rocky are assured a strong foundation of knowledge and skills. At the same time, the Rocky learning community focuses on the whole child as rich, comprehensive array of exploratory courses and extra curricular activities ignite student interests, passions, and ingenuity. Celine Wicks leads the staff at Rocky Heights. Rocky Top Middle School enrolls 1174 students in grades 6-8 in Thornton, Adams 12 Five Star School District. Rocky Top students are supported in small learning teams of less than 120 students so that teachers can focus on the whole child. 13% of the student population qualifies for free and/or reduced lunch and 3% are English Language Learners. Students focus on achieving excellence and have numerous opportunities to engage in enrichment or supportive learning opportunities through their unique and creative schedule. Students monitor their own standards-based learning goals and engage in inquiry units of study. They actively use self-assessment strategies and are able analyze scoring based on exemplars and rubrics to determine their own level of achievement. Co-teaching strategies are used so all students can access grade level and above curriculum. Extra-curricular activities abound! And, student voice is heard through a wide range of opportunities to connect, advocate, and initiate change in their school. The staff at Rocky Top is lead by principal Chelsea Behanna. Russell Middle School, located in Colorado Springs, is a school serving 624 students in grades six through eight where 56% of its students qualify for free and/or reduced lunch. Russell provides a dynamic learning environment where each member of the staff has a strong understanding of what students know and are able to do. They have created a well structured system to monitor the progress of each individual student, apply research-based interventions, and work collegially to address student learning needs. As a focus school for the performing arts, students at Russell have a wide range of opportunities to engage in curricular and co-curricular activities. Russell has also successfully implemented the elements of Positive Behavior Support mechanisms which has motivated their students and staff to achieve. Russell has built strong foundations in character that create a strong sense of belonging and inclusiveness. The staff of Russell is led by Julie Johnson. Steamboat Springs Middle School enrolls 510 students in grades six through eight. Located in Steamboat Springs, it serves all the district students as its only middle school. Steamboat Springs Middle School has been recognized as a School of Excellence by the State of Colorado every year since 2004. The staff has built strong relationships throughout their school community and has positively engaged their families in the partnership of educating their students. The staff at this middle school exemplify strong professional pedagogy as they have built their own capacity to effectively use rich, research-based instructional strategies. Staff and students all hold themselves accountable for high levels of success and are hungry for continuous improvement. Teachers typically have multiple endorsements and teach in small two person team learning communities. Relationships are built with students at a deep level during the day, and extended by the numerous and diverse extra-curriculur and co-curriculum offerings. Jerry Buelter leads the staff at Steamboat Springs Middle School. Wellington Middle School enrolls 551 students in grades 6-8 in Wellington, Poudre School District. It has a free and reduced population of 35%, and 3% English Language Learners. Wellington students focus on achieving excellence are led in focused, standards-based learning that permeates their day. Students create their own learning goals, monitor their own progress throughout the school year, and perform student-led conferences. They actively use self-assessment strategies and are able analyze scoring rubrics to determine their own level of achievement. A well designed core is enhanced by rich exploratory courses. A comprehensive approach to interventions has been effectively embedded for both academic and social/emotional support. Wellington is a nationally recognized AVID school, and the college readiness atmosphere, high level of thinking and rigor as well as learning expectations pervade the school community. The staff at Wellington is lead by principal Alicia Durand. West Middle School, a vibrant school located in the heart of Colorado Springs District 11 enrolls 297 students in grades 6-8. It has a free and reduced population of 62%. West prepares its students to be flexible thinkers who are inquiring, caring, and self-directed learners who launch their personal learning plans using mastery learning ongoing self-reflection. West’s faculty uses looping to deepen their knowledge of students. They regularly engage in professional learning communities to design inquiry based units of inquiry aligned to collectively held expectations for high quality work embedded in the Colorado Academic Standards. West has systematically developed a strong community of learners who exhibit a sense of pride, ownership and interconnectedness. West offers a wide range of programs to develop young adolescents including AVID, Gateway to Technology, and Personal Passion Projects. An embedded Gifted Magnet program provides challenge and emotional support to these learners while allowing for these strategies to scale and serve other students across the school. West Middle School is led by principal Shalah Sims. Westview Middle School enrolls 775 students in grades 6-8 in Longmont, St. Vrain Valley School District. It has a free and reduced population of 30%, and 11% English Language Learners. Westview students engage in authentic, inquiry based learning as designed by their highly skilled staff of teachers. At this STEM focus school, all students engage in project-based learning, using the design process, to learn, create, innovate, think, and apply 21st Century skills. Westview exemplifies a middle school philosophy based on teaching the whole child, this includes teaming, affective programming, and a wide range of learning opportunities and co-curricular activities best meets the needs of young adolescent learners. Westview staff fosters high expectations supports students as they develop a strong work ethic and sense of personal responsibility that is essential to meet the challenges of the future. The staff at Westview is lead by principal Mark Spencer. Angevine Middle School is a neighborhood school in Lafayette. They serve 616 students in grades six, seven and eight by offering a challenging and rigorous academic curriculum that is supported comprehensively throughout the school. Angevine was selected as a “Programs to Watch” school for its creative and effective approach to meeting the literacy and math needs of its most at risk students. Faced with the challenge of a large English as a Second Language population which serves between 15 and 20 percent of the student body and other students at risk, Angevine has succeeded in gathering resources and organizing a program that is worthy of replication. Mike Medina leads the staff at Angevine. Casey Middle School is a school of 321 students in grades six through eight. Casey offers a rich academic program, expecting mastery of basic skills while providing enrichment and exploration. Casey offers a full range of academic and elective choices. As a Pre-Advanced Placement school, Casey offers students exposure to the Habits of Mind and study skills that prepare them for the advanced learning necessary for future success in an increasingly complex and changing world. We are a neighborhood school that hosts a focus program, Dual Immersion Bilingual, as well as a traditional middle school program. Approximately 65% of its student population are second language learners and over half of its families qualify for free/reduced lunch. Small class sizes coupled with powerful support structures help the school meet individual needs. Standardized scores from the Colorado Student Assessment Program (CSAP) reveal significant progress in student achievement while especially in the area of writing. The staff of Casey is led by Alison Boggs. Conrad Ball Middle Schoolis a school 659 students in grades six through eight. Located in Loveland, it serves the city’s most diverse population. Approximately 42% of the students qualify for free or reduced lunch and 10% are English Language Learners. Conrad Ball has seen a dramatic drop in disciplinary referrals and a significant increase in achievement scores. Critical thinking strategies, data-driven instruction, and positive behavior are their school’s three main goals. Conrad Ball has created a powerful staff development structure where teachers work in professional learning communities attending to their own action research questions. Teachers employ high quality instuction and support 21st Century Learning through the focus on problem-solving, collaboration, questioning, inquiry, and goal setting. Conrad Ball has created an in-house lab classroom program where peer observations provide opportunities for reflection and collaboration. Tiffany Miller leads the staff at Conrad Ball. Gypsum Creek Middle School, located in Gypsum, Colorado is part of the Eagle County School District and enrolls 335 students in grades 6-8. 55% of their students qualify for free/reduced lunch, 63% of their population is Hispanic, and 48% of the population are identified English Language Learners. Gypsum Creek was noted by the Colorado Department of Education as a 2010 & 2011 Distinguished School Award winner for having the top 8% student growth scores according to performance on the state assessments. Students and staff at Gypsum Creek attribute their success to strong relationships and high expectations for learning and achieving. Education is the pathway for future success, and parents, students and staff understand the important responsibilities in ensuring that each and every child is held accountable as well as supported effectively to meet the challenging demands of our complex and competitive world. Rigorous teaching and learning is evident through a deep implementation of evidence based instructional strategies, comprehensive instructional design, and articulated interventions that ensure that no child is left behind. David Russell leads the staff at Gypsum Creek Middle School. District 11. It has a free and reduced population of 34%, and 80% of their total student population is proficient or advanced on Reading CSAPs. Their data-driven faculty maintains a student data folder for each student. Students create their own learning goals and monitor their own progress throughout the school year. Quarterly common assessments help students and staff focus in on specific learning targets. A comprehensive pyramid of interventions provides a continuum of services that ensure that every child finds success. Holmes has successfully implemented a Response to Intervention model to support their special education and regular education population. Holmes has maintained their high degree of excellence for several years. Their students academic growth exceeds other schools of similar demographics. The Colorado Department of Education rates Holmes as Excellent and High Growth. Mr. Yann Ulrich leads the school as principal. Hotchkiss K-8 School enrolls 392 students in grades PK-8 in Hotchkiss, Colorado in the Delta County School District. 181 of their students are in grades 5-8. 50% of their students quality for free and reduced lunches, and their mobility rate averages approximately 18% annually. Hotchkiss Pride – “BE PROUD OF WHO YOU ARE AND WHAT YOU DO” permeates the building and throughout the Hotchkiss community. High expectations and strong relationships build the strong foundation for learning and success. They instill in their students the fact that they must be proud of all they do everyday.Hotchkiss teachers are standards-based, have created strongly aligned curriculum, and focus on reading and writing across the curriculum. The employ rich and varied strategies to provide academic and social interventions. Parents are actively engaged in all aspects of learning in this school. This school uses their resources wisely, they think outside the box, and never, and they never, ever give up on a child. Hotchkiss K-8 is lead by their principal, Carrie Coats. La Junta Middle School became La Junta Junior-Senior High School in 2010 due to fiscal challenges and changing populations. Located in La Junta, Colorado serves 291 students in grades 7-9 in the East Otero School District. It has a free and reduced population of 65%, and a mobility rate of approximately 24%. La Junta’s comprehensive schoolwide reform efforts have resulted in increased student achievement as acknowledged by the Colorado Department of Education. La Junta students learn at a high rate of growth, especially when compared to other schools of their size and demographics. The La Junta faculty engages in job-embedded, inquiry-based professional learning centered on student achievement, curriculum alignment, and high-yield instructional strategies. Targeted interventions in math, reading, and behavior support student success. The school employs a highly trained staff that is able to effectively differentiate for a wide range of student needs. They employ active, hands-on learning strategies to stimulate academic advancement. La Junta has a postive culture and climate where everyone works together to make a difference for kids each and every day. Mead Middle School, located in Mead, Colorado is part of the St. Vrain School District and enrolls 321 students in grades 6-8. Mead has been designated a School to Watch twice. It has a free and reduced population of 11% and was noted by the Colorado Department of Education as making significant achievement gains in 2010 and 2011 for demonstrating the top 8% student achievement growth rate in the state. Mead Middle School boasts a high level of student involvement where 95% of their students participate in extra-curricular activities. A highly active parent community supports the school by volunteering thousands of hours annually. Literacy permeates the building as noted by a successful Accelerated Reader program that creates incentives for student reading – students read on average 20 books each per year at Mead Middle School. A standards-based report grading system helps teachers keep track of student progress in essential learning goals. Students have multiple opportunities to achieve mastery, and staff works diligently to ensure individual student success. Josh Barnett leads the staff at Mead Middle School. Prairie Middle School has been redesignated three times! This is an incredible accomplishment given the changing nature of education. Prairie is a school of 1559 students in grades six through eight with a mobility rate of almost 30%. Located in Aurora, it faces tremendous challenges given its large and diverse population. Approximately 55% of the students qualify for free or reduced lunch. Over 57 different languages are spoken and 76 countries represented by their students – their school motto says it all, “Diversity is Our Strength!” Prairie has created an environment that maximized academic growth and respect for all. They have worked to steadily erase predictive gaps between student populations. They have achieved great growth in all areas, especially math. Prairie provides a wide range of opportunities to meet the needs of all students and ensure a high level of challenge while emphasizing academic achievement, cultural diversity, state and district standard implementation, College Board Standards, instructional excellence, and integration of technology. 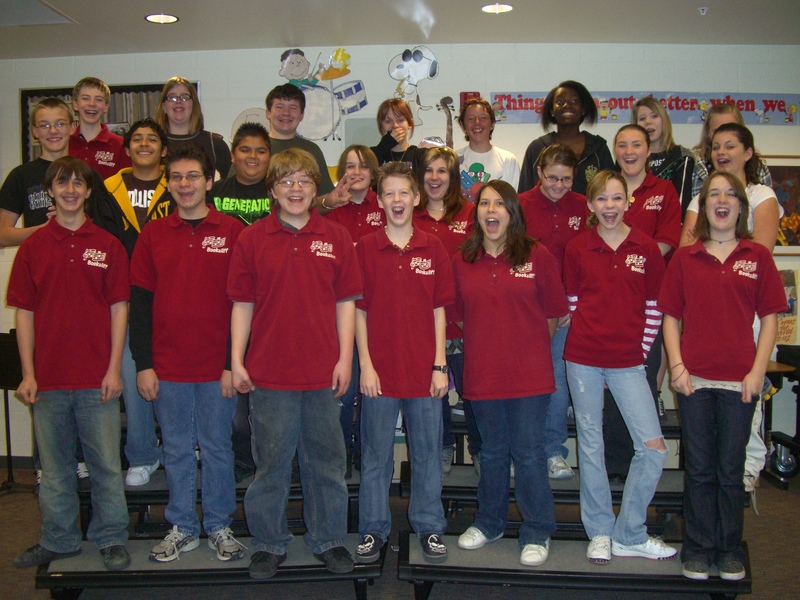 Prairie Middle School is a National AVID demonstration site. David Gonzales leads the faculty at Prairie.